Music can be calming and relaxing. Many parents wonder how students can relax by music playing while they are doing homework, studying, or simply having down time. The answer may lie in the type of music to which the student is listening. It is important to remember that students need to relax. For many students, stress is an everyday part of their lives. Daily schoolwork, exams, and extra curricular activities combine with worries and concerns for their future in unsettled times often cause feelings of stress to build. Most students do not have stress management coping skills needed to alleviate their feelings. Studies show that music has the power to relax the mind and is a wonderful method of relieving stress. A large number of students feel they are able to concentrate better and feel more relaxed with their headsets on and music blasting. Naturally, this is not true for everyone. There are also many students that find music playing very distracting and unsettling. 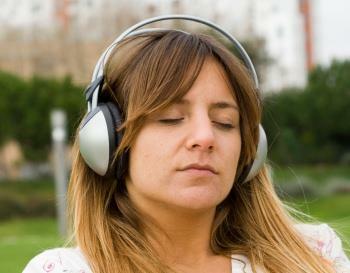 Researchers have proven that listening to certain types of music helps the brain to relax. The question of whether or not the music has to be a certain type, such as relaxing guitar music, slow jazz, or classical pieces remains a shady area. Most of the studies agree that certain types of music are more conducive to creating a relaxed state. The type of music a student uses to relax is strictly a matter of personal choice. Each person has a specific type of music associated with the positive feelings and times they have experienced throughout their lives. This occurs because of the close pairing of the areas in the brain that are associated with emotions and processing the music. Since everyone has different life and music experiences, each student finds a specific type of music calming and relaxing. For one student it may be a classical overture, for another it may be rap or country music. For several years using music in the classroom to help students relax has been a growing trend. Researchers and educators found that music is not only calming to the students, it also facilitates cooperation and helps the students to focus. Alphamusic by John B. Levine helps the student's mind reach the alpha state allowing it to be calm, relaxed and receptive. Knowing how students can relax by music playing in the background assists parents in understanding this excellent form of relaxation and stress reduction.